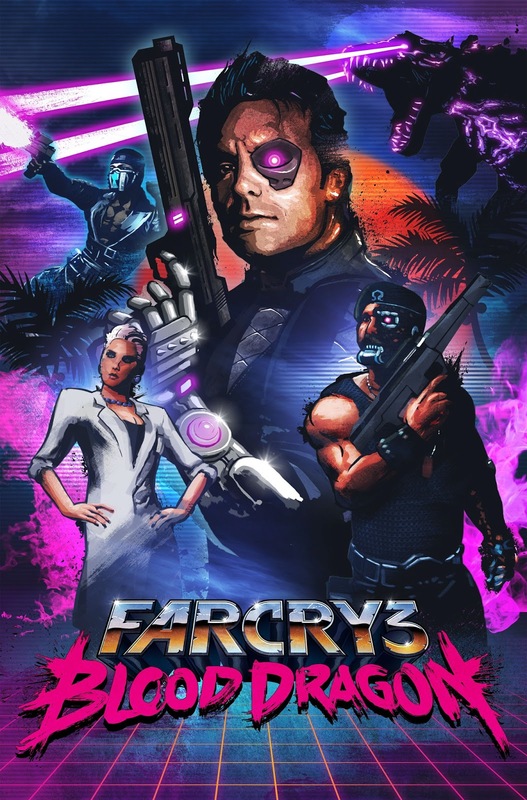 «Far Cry 3 Blood Dragon» serves up VHS era nostalgia by the bucket for those of us who remember the eighties as a purple neon haze. It is the first game I have seen fit to pre-order based on the awesomeness of its cover art design. This is a game which definitively doesn't take itself too seriously. It might be appropriate to call it a spoof on eighties action B-movies like «Eliminators», but based on the amount of enthusiasm and care which has been channeled into the project, I am rather leaning towards tribute. Of special note is the soundtrack, composed by Australian duo Power Glove who has managed to create a truly inspired synth-based soundtrack of the kind you rarely find anymore. The tracks generally have a thematic resemblance to compositions from legendary movie composer Vangelis. Particularly the main theme has a strong «Blade Runner» vibe to it. Other tracks like «Blood Dragon Theme (Reprise)» invoke the sonic imagery of Harold Faltermeyer with a dash of Jean Michel Jarre. Brilliant stuff. 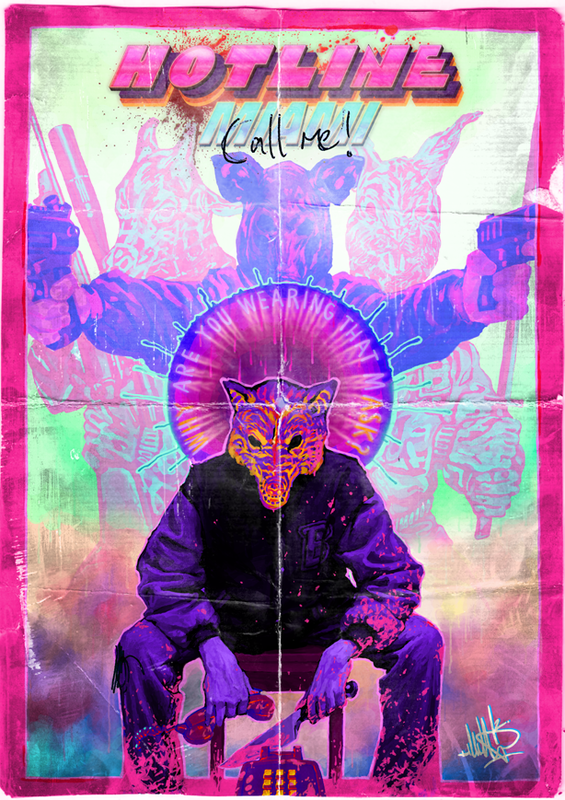 In «Hotline Miami» you play the part of a man who is not entirely sure who he is, and keeps finding messages on his answering machine from people who want bad things done to other people. In contrast to «Blood Dragon» which looks amazing, but has a plot which may be described as somewhat simplistic, «Hotline Miami» has simplistic graphics, but a story which is dark and layered. The game is primarily about administering precision violence upon men in white suits. I admit I had no faith in this game when I saw the first screenshots. It seemed like an unnecessary serial killer simulation veiled in retro aesthetics, attempting to be cooler than it probably was. After I played it though, I was both shocked and pleasantly surprised at how wrong I was. The soundtrack once again deserves special mention. It features synth-tracks which sound like they could have been made in the eighties, but actually are contemporary. The style is quite similar to the work of Kavinsky, College and Electric Youth as used in the 2011 movie «Drive». An excellent example is the track «Miami» by Jasper Byrne. 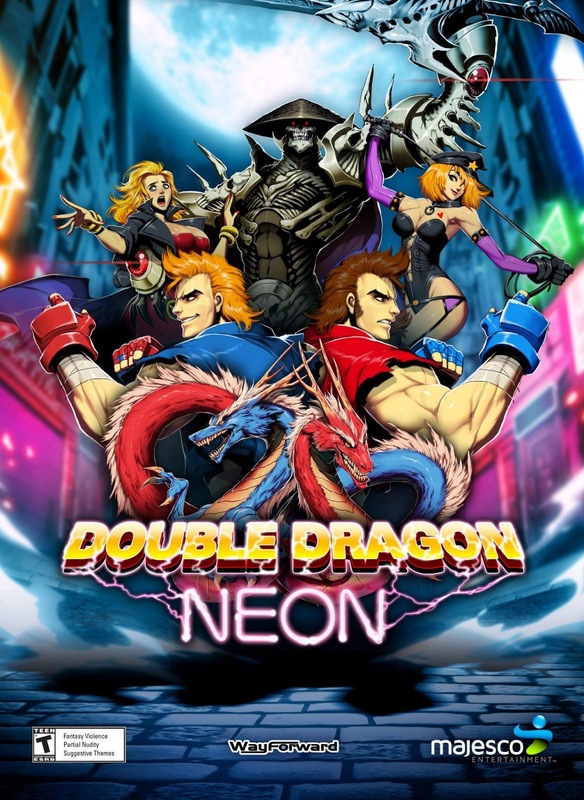 «Double Dragon Neon» is a sequel to one of the old classics: «Double Dragon» by now defunct Technōs Japan. This was the game which in 1987 more or less defined the "walk-and-punch" genre. After a pretty decent sequel the year after, the series unfortunately went downhill, and the genre was more or less taken over by Capcom. This latest installation in the series, developed by WayForward Technologies, is an attempted reboot. Its inspirations seem to be movies like «Big Trouble in Little China» and «The Last Dragon», sprinkled with a bit of «Masters of The Universe», various anime tropes and Californian surfer-dude-speak. The reboot doesn't quite come together in the gameplay department, and there are occasional discrepancies between the rather cheap looking backgrounds and the more polished character designs. But although it doesn't quite hit all the marks, it's still a charming and fun game for those who like the genre. The soundtrack by Virt (Jake Kaufman), shoots for an all out parody of eighties pop, funk, rock and rap and is largely worth the price of admission by itself. Last but not least: «Retro City Rampage», the game with the highest number of eighties pop cultural references per square pixel ever. 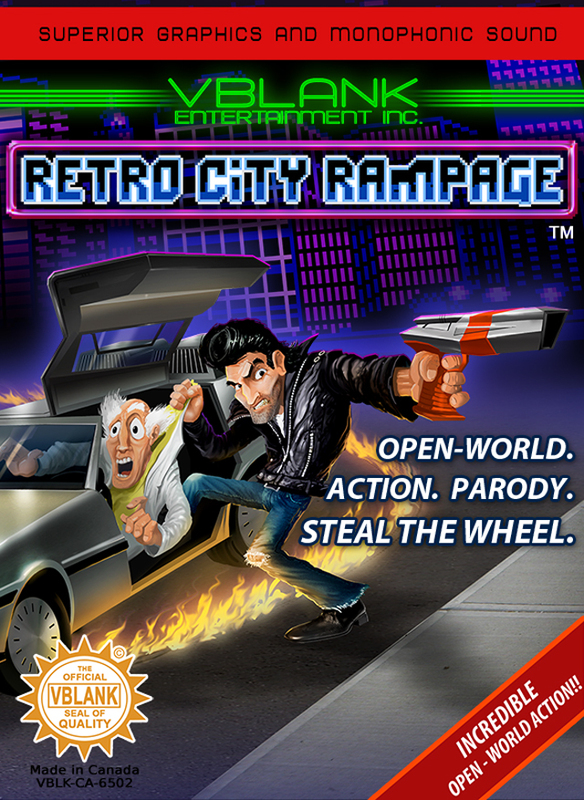 If «Family Guy» creator Seth MacFarlane was a computer game, he would be «Retro City Rampage». The game is primarily a re-imagining of the «Grand Theft Auto» series, as it would look in 8-bit glory. One of the great things about this game, is that in addition to the obligatory blues and purples of the neon age, you can configure the game to look like many different retro platforms. Want to play the game with a Commodore 64 color palette? No problem! How about the soothing blacks and yellows of Nintendo's GameBoy? Sure, why not! As opposed to the other games in this roundup, which have soundtracks based on more mainstream synth genres, «Retro City Rampage» goes for a pure chip-tune approach. Virt, together with Freaky DNA (Leonard J. Paul) and Norrin Radd (Matt Creamer) has created a traditional NES style soundtrack with sprinkles of Commodore 64 SID chip effects thrown in for good meassure. PS: If you are into movie and game soundtracks, I recommend checking out www.soundtrackgeek.com which has just published a review of Blood Dragon's sublime soundtrack.